Hannibal-LaGrange University will be holding a concert featuring The Gray Havens during 2016 Welcome Week festivities. The concert will be held Wednesday, August 31, at 7 pm at the Roland Fine Arts Center. The community is invited to attend this special night of music. Tickets are available for $10 per person. The event is free for students with a valid HLGU ID. 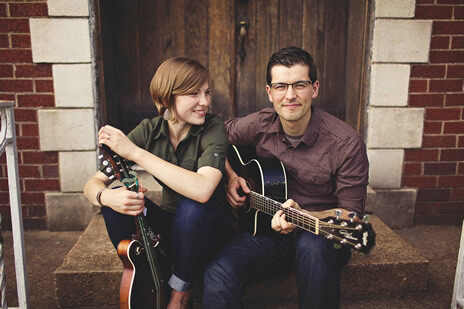 The Gray Havens is husband and wife folk-pop duo Dave and Licia Radford whose unique artistry draws from such influences as C.S. Lewis, JRR Tolkien, and Jonathan Edwards. Their debut full-length recording, Fire And Stone, is being hailed as “a phenomenal recording.” It reached the Top 10 on national mainstream singer-songwriter charts. Opening numbers for The Gray Havens will be performed by Ryan Corn and HLGU’s own Iron for Iron. Ryan Corn is a Missouri native with musical roots, learning to sing with his grandmother in church. Today, he’s a singer-songwriter making infectious music, brimming with hooks and style. His music is a reflection of the soul of an artist whose desire is not just to get a song stuck in someone’s head, but to get it stuck in their heart. His song, Wonderful Things received a charting at Billboard and garnered more than 3.8 million listens on Spotify. For more information, contact Richard Medina, director of student activities, at 636.699.9350, or via email at rmedina@hlg.edu.